Home blog 3D Printed Toys: How will industry and regulators keep kids safe? 3D Printed Toys: How will industry and regulators keep kids safe? In a rapidly innovative industry, safety and regulation will always be a priority. The toy industry, along with food, is perhaps the sector where safety is most important. Protecting children is vital, after all, as the Finns say, ‘the job of all children is to play’. But whilst the little ones play, how can those with the job of industry regulation keep ahead of the digital transformations in toys? Safety is assured through competent regulation of products’ constituent mixes, and as millions of toys are made of plastics, the implications of toy safety law on plastics manufacturers are exacting. Since 2009 the Toy Safety Directive has governed European standards for a variety of safety aspects in toys. The directive places responsibility on the toy manufacturer to use traceable source materials, give safety support to customers and maintain exceptional material purities. But now, as the digital and analogue spheres rapidly converge, the potential for bespoke toys has brought the start of an entire new industry in home customisable toys. While 3D printing and additives manufacture will introduce wild possibilities for the toy market, both regulators and parents will need to pay attention to the changing safety requirements of custom toys. Work by the iBUS Consortium, a research project developing a digital business model for a customised toy platform, is investigating how bespoke 3D printed toys will meet all product safety legislation in the EU. IBUS has concentrated on ways for traditional toy makers to use the internet and 3D printing, but keep their quality of safe products, design and innovation. Through the new iBUS model, the children will be toy designers, customising and ordering their own toys from the iBUS internet cloud. With custom 3D printed toys, the model could assure the return of local toy shops to towns. Retailers can provide in-shop Fab Labs or Maker facilities, with new manufacturing technologies such as 3D printing and manufacturing to attract children, who with little or no knowledge of design techniques, will be able to design their own toys with the help of their local toyshop. iBUS says its safeguards in the software platform will ensure that the products designed comply with all relevant product safety guidelines. While the software and blueprints can be regularly tested, the incredible opportunities brought by 3D home printing (some call it the next industrial revolution), will bring a varied field of printed products. A diverse market for additive manufacturing will be welcome, but with this will come questions over maintaining the quality of products. Home printing now, with ink on paper, has minimal safety requirements. But in the not too distant future, 3D products will be appearing like magic in consumer’s homes, or the toyshop. The opportunities are exciting, but with such a variety of applications for additives in the home, current safety regulations need an overhaul to ensure children, vulnerable to faulty products, are protected from toys they can build themselves. small pieces, injuring children. The ban’s ensuing legal challenge brought to the courts the notoriously named case ‘United States vs. Article Consisting of 50,000 Cardboard Boxes More or Less, Each Containing One Pair of Clacker Balls’ (The US government could sue the product but not the company Ace Novelties because of due powers limits). With both safety standards and legal precedent, the toy market, particularly in the EU and the USA, is well maintained. But it will be much harder for regulators to foresee the applications of types of 3D Printing additive. Without knowing what the end product will be, officials will be unable to test toys under all the shapes, stresses and strains that the end product will have. Additionally, the technology for custom printed toys may bring in moving parts, another field of hazards for the toy industry. Custom toys will have to learn the lessons, as toy manufacturers have, of products like ‘Snacktime Cabbage Patch Kids’, and ‘Sky Dancers’, responsible for munching kids fingers and lacerations. And if home printed toys become popular, how will customised templates avoid loose small parts or trapped fingers? With Christmas coming once a year, a constant demand for bright new ideas and accelerating technological innovation, toys is one of the most innovative industries. 60 per cent of toy products are renovated every year, and designers only see a fifth of their ideas on the market. With a lack of forethought about future bespoke toy safety, iBUS believes the safety aspects of its research model offer it a revolutionary role. Josefa Galvañ, researcher at iBUS, writes: ‘The basis for a good chemical safety assessment is knowledge; knowledge about the toy, how it is used, the materials used and scope and knowledge about the presence of undesirable substances. “Once this information is determined, the use of the product and its characteristics of use must be appraised (ie the intended age of the user, the intended and foreseeable use and the exposure routes). The result of this assessment achieves a conclusion on each materials and identified substance as potentially dangerous. All this information is included in the technical documentation that must be attached to each product. One potential transformation offered by 3D customisation on toys will see the creative design process becoming play. As the wild imaginations of children become reality, the toymakers can make designing the toys as fun an experience as playing with them. 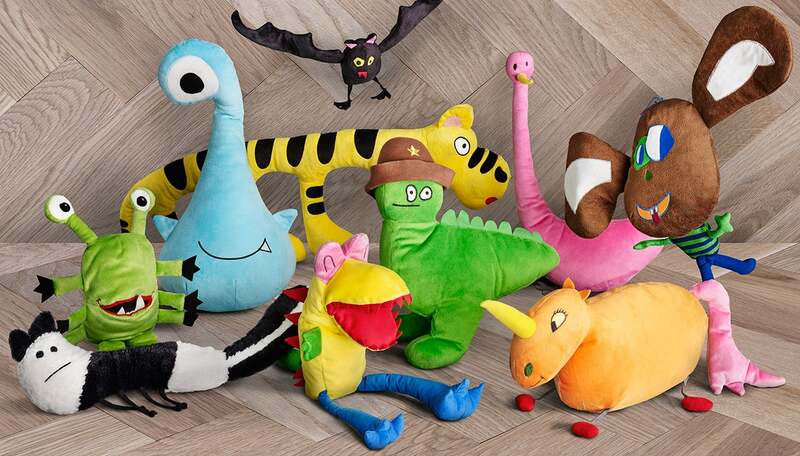 And if kids’ ideas are taken literally, all the better, as these cuddly toys developed by IKEA for Save the Children’s Toys for Education Campaign proves. If home 3D manufacturing becomes a reality, regulations across all industries will have to become vigilant to its downsides. The proliferation of the web in daily lives has shown people can get carried away with its potential, and a new transformative medium such as home additives will be no different. But with planning and forethought, from agencies like iBUS, regulatory preparation for fun and safe involvement for kids in 3D printing will be child’s play.